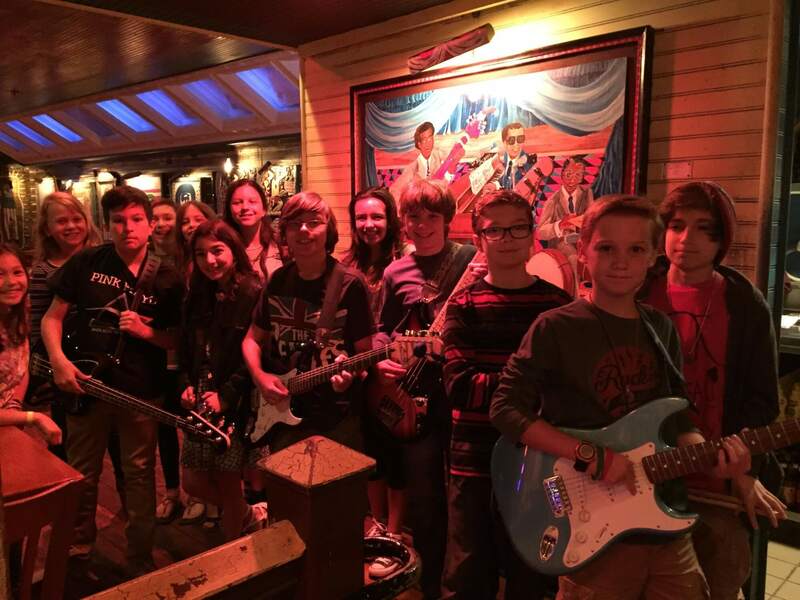 School of Rock Highwood’s music teachers are experienced musicians devoted to helping students attain musical proficiency. 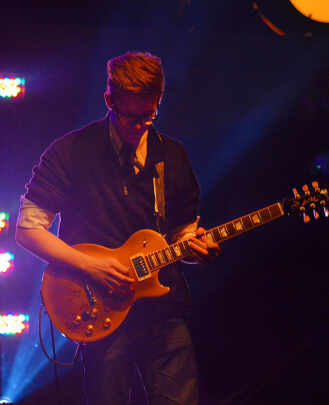 From singing to drums to guitar, our Highwood music instructors inspire and teach students to perform live. Bryan Resendiz is a Music Director at the Highwood school. He teaches drums and manages the ensemble rehearsals. His path through the world of rock n' roll began when he got his first drum set in the 3rd grade. Bryan's musical inspiration came initially from his older sister's record collection. Throughout his teens, Bryan performed live in bands and in studio settings. In the summer of 1995 as a part of the Hello Dave Band, Bryan played in venues from San Francisco and New York to Key West. Between 2002 and 2005, Bryan played rock 'n' roll in the Pacific Islands, Asia, Europe, Africa and across the Middle East, culminating in an intense tour across Iraq. Bryan recorded a full-length album for Hello Dave, "Perfect Day," in 2003. Bryan left the Hello Dave band in 2005 in order to focus on freelance music projects and a successful teaching practice at Kevin Connelley Drum Instruction in Skokie. 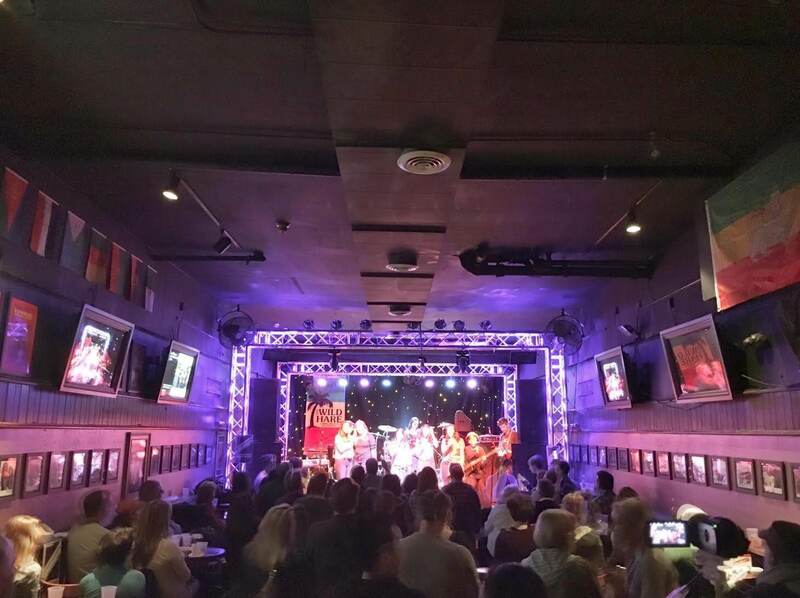 Bryan continues to maintain a busy gigging schedule with a number of Chicago bands. 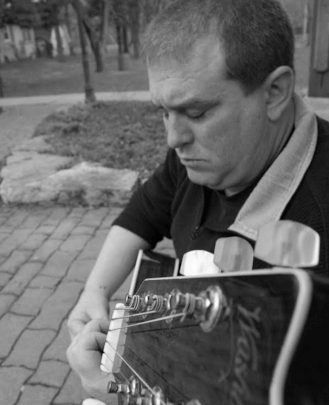 Scott Balmoos is a singer, songwriter, guitarist and music educator. He started on his path in music while in middle school when he fell in love with the sound of The Beatles. It wasn't long before he was singing and playing guitar in his first rock and roll band. 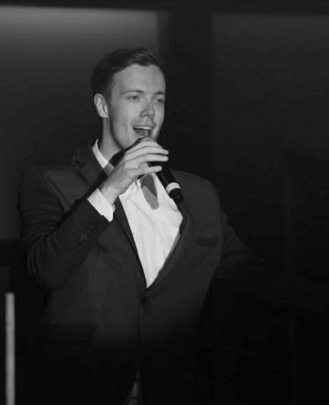 Over the subsequent years, the music in his life grew and expanded, so he continued to pursue his passion by studying at the Eastman School of Music with a focus in Vocal Performance. While at Eastman, along with singing opera, art songs and musicals, and against his teacher's wishes, he continued playing with his band The Shift. This energy eventually provided the spark for him to move to Chicago. Since 2003, Scott has been performing, writing and recording in and around Chicago, most notably with the roots reggae band Akasha. As a lover of all types of music, he believes that through it you can learn about yourself, how to use your voice, and reach out to the world from almost any song. 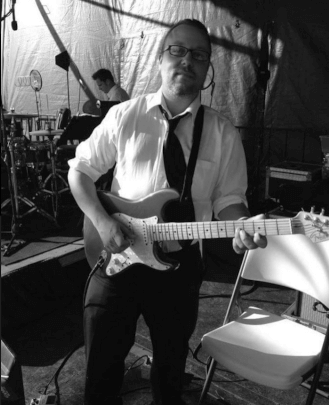 He is a guitar teacher, bass guitar teacher and vocal instructor at School of Rock Highwood. Anna Marlow was born and raised in Rogers, Arkansas and enjoyed many years as a performer and teacher with The Young Americans. She has studied and performed improv and musical improv at The Second City and iO. 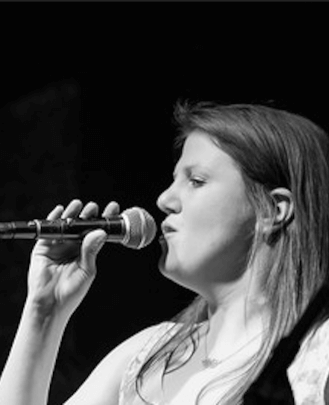 She enjoys singing, playing piano and writing music, and is so excited to be a part of the School of Rock team. Cody started out as a School of Rock student at the age of 13, where he worked his way through dozens of performance bands and the house band. Since then he’s played hundreds of shows throughout the Midwest and is even traveling to China in the spring of 2018 for a two-to-three week tour. Cody majors in music composition and, despite focusing his practice on jazz, loves all kinds of music and teaches guitar, bass, voice, keys and violin amongst other things. He also has a mastiff puppy who loves to meet everyone. 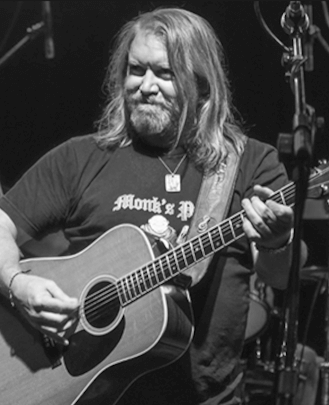 Paul Bolger is the lead singer and acoustic guitarist for Chicago-based jam band Mr. Blotto. After graduating from school Paul decided to become a full-time musician, landing a gig as the house singer at a Polish club in Chicago. During his time as the house singer he met the other members of his band. After releasing their first album, "Parking Karma," in 1992 they took their music to larger venues and by the end of the decade they were a significant influence in the Chicagoland music scene. Since then the band has released many albums and has become a Chicago staple at local events and festivals. Maggie was born and raised with an undeniable ear for music. Singing has always been her passion. Her mother told her that she sang before she ever spoke. Maggie has always had a knack for music. When she was 18 months old, she would hum to songs happily in key. Maggie believes that everyone has music inside of them, no matter what the age. She has been involved in many projects and studio recordings including The Rip Chords (University of Illinois), Molehill and Willy Dynomite. Her passion for music, paired with her obsessive organization, has led her to be the General Manager of School of Rock Evanston and Highwood. Maggie hopes to open the door to musicians in a way that she never experienced. Sarah Rabin was born and raised in the Northwest suburbs of Chicago. As a young child her mother would take her to choir rehearsals and sing to her every day. It was through this that she first discovered her passion for the performing arts. At the age of six Sarah began learning music by playing piano, which eventually led her to playing flute. Her greatest love, however, is singing. Sarah has studied voice since she was in fifth grade. 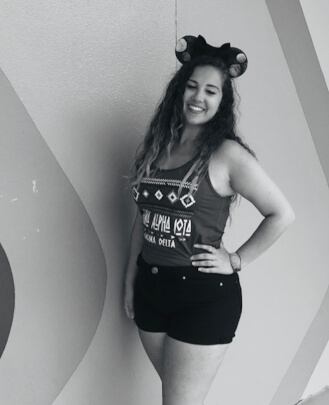 Her love for voice eventually led her to majoring in Music Administration at The University of Illinois. She has been involved in many performing groups over the years including concert choirs, a cappella groups, show choirs, musicals and more. Sarah has also performed on a national tour as the vocalist for the Colts Drum and Bugle Corps. 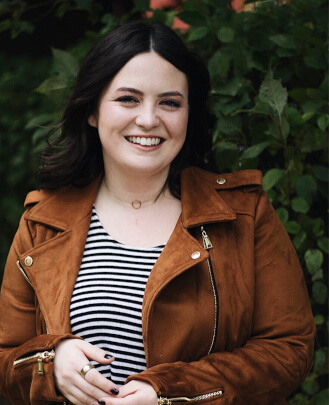 Before coming to work for School of Rock she worked as an intern at The Walt Disney World Resort, and then as a production intern for Ravinia Festival in Highland Park. Sarah is excited to be working with the students of School of Rock as she is a big advocate for music education. She believes that music should be studied with great teachers and great music. 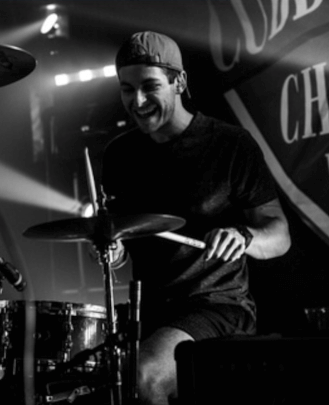 Macklin Suhre was born July 21st, 1991 in Lake Bluff, Illinois and has been drumming since the age of 10. He attended Lake Forest High School, studying music and drumming in the jazz band and wind ensemble. 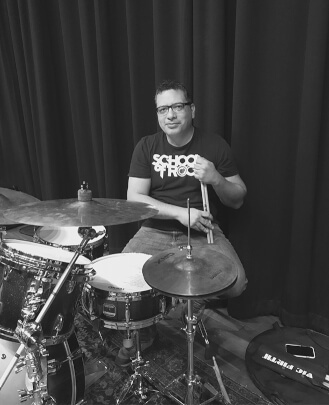 In 2009, he was accepted to Berklee College of Music in Boston as a drum set principle, where he spent four years studying with celebrated faculty members such as Mitch Haupers, Mike Mangini, Kim Plainfield and many more. Macklin graduated from Berklee in 2013 with a degree in Professional Music, and continues to perform with his band, Tanzen. Sam Hudgens was born and raised in Evanston, IL. He started playing saxophone in fourth grade and from there learned guitar and piano. After going through the music program at ETHS he studied Jazz at North Park University. 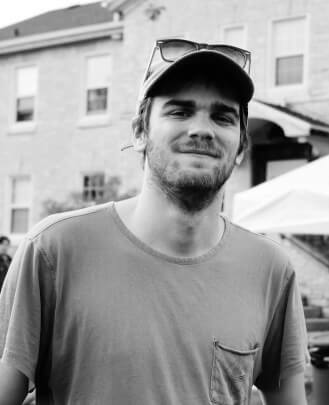 Currently Sam plays in a couple local Chicago bands and writes and produces original music. 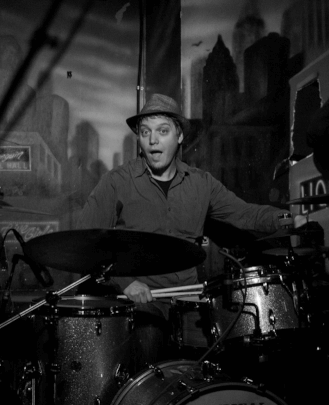 Drew Littell is a professional drummer, percussionist and music educator from Chicago, IL. 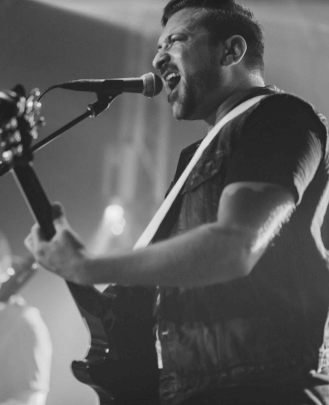 With over 20 years of playing experience, 10 years touring nationally and eight years teaching, Drew brings a wide spectrum of experience to private lessons at School of Rock. 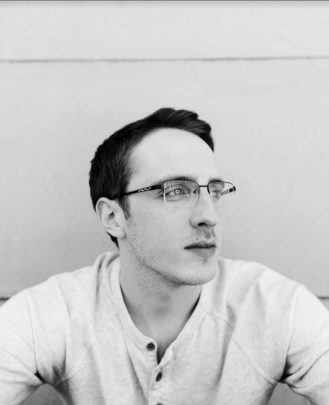 Starting as a percussionist in grade school, and all the way through a Jazz Studies major at the Chicago College of Performing Arts, Drew has been trained in music at the academic level, but also has always been involved in some sort of independent, original music project. With 10 years of touring experience, he has played many styles of music from metal to bluegrass and everything in between. John Siegle is a singer/songwriter who grew up in Peoria, Illinois. He learned to play guitar with high school buddies and was soon playing at dances and at local bars. John and some friends moved to the college town of Champaign-Urbana in the mid '70s. They formed the power-pop band Screams. 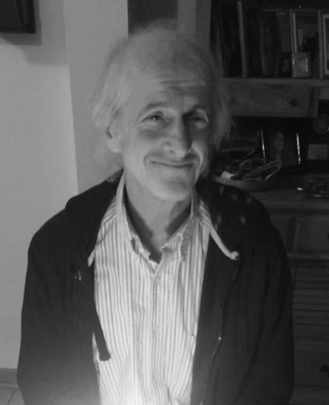 John started writing material for the group. Screams was soon signed to MCA's Infinity label.They released an album and hit the road, headlining for national acts and at one point touring with Van Halen through most of the United States and Canada. The Infinity label was dropped by MCA as the band was in the middle of a tour of England, and Screams went back to Champaign to regroup. John moved to Chicago after meeting singer/songwriter Gary Yerkins to play in the band Garrison (a fine band that didn't pan out).John played a stint with local and regional favorites Mike Jordan and the Rockamatics, a glorious rock and roll roadhouse band, before re-joining with Gary to form Insiders. Insiders were signed to Epic Records and produced a successful album that featured the MTV hit, "Ghost On The Beach." Although the Epic deal only lasted for one album, The Insiders remained a Chicago mainstay for over ten years, self-produced three more albums and were regularly played on station WXRT 93 FM. John is still in Chicago, still playing with a couple of bands and still writing music. Zoey has been playing guitar since 1987, playing music professionally since 1997 and teaching guitar since 2001. He has played all over the country and in Mexico at clubs, festivals, concerts, theaters and private events playing jazz, rock, country, R&B, bluegrass, blues, zydeco and pop. Over the years he has played with local and national artists like Maggie Speaks, Tributosaurus, The Jersey Boys, Nicholas Barron, Cathy Richardson Band, CJ Chenier and many others. Zoey is thrilled to be a part of the teaching staff at School of Rock. Jon Allegretto is a Chicago-based guitarist, vocalist, songwriter and lyricist who has been writing and performing for nearly 20 years. A versatile musician, Jon enjoys a wide variety of sounds from many eras but his major interests are rock, blues, metal and folk. He believes that music is as much about having fun and harnessing emotional energy and feeling as it is about technical ability and understanding and emphasizes this in his teaching. As a young child Jon would air guitar to his first favorite musician, Elvis. He received his first guitar at age 12 and quickly developed a love for such artists as Nirvana, Jimi Hendrix and Social Distortion. While in his native Williamsburg, Virginia, Jon studied under Greg Eide and Gerald E. Lewis, and worked as guitar instructor and store manager at Authentic Guitars Inc. until his move to Chicago in 2006. Jon earned a Master's degree in Arts, Entertainment Media Management with a Music Business concentration at Columbia College Chicago in 2009. Jon has performed hundreds of shows, including six U.S. tours with his current rock trio A Friend Called Fire, in which he is lead guitarist, lead vocalist and chief songwriter. He has shared stages with many gifted artists including Gary Clark Jr., Bachman Turner, Shinedown, Korn and Sevendust to name a few, and also works as an acoustic solo artist, music photographer and writer, commercial music composer and voice-over artist. Bob has been playing guitar professionally since the age of 12. With over 30 years of experience, he teaches all styles of music from jazz to classical, world music and of course rock. 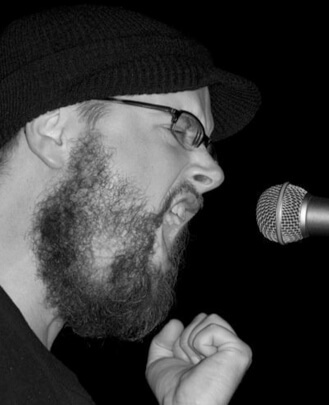 Bob has toured the US and Europe with punk-metal buffoons TORG, performed all over the Chicagoland area with groups as diverse as the eclectic cover band Off High Road to pop music professionals The Lisa Rene Band and is the musical force behind the art-rap duo Central Ave. Bob has been a part of the jazz duo Now and Then, performing sets of modern and past standards with a soothing yet vibrant jazz flavor. Bob's highly successful style of teaching is very informative yet approachable, with a lesson plan that is specifically designed with the student's goals in mind. Bassist Joe Faught was born and raised in Chicago and began playing electric bass at the age of six years old then the double bass at 10. 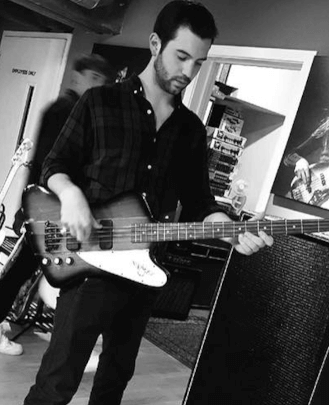 Joe earned his chops through music classes at New Trier High School and Loyola University, as well as by being taught by some of the best bass players in Chicago. Additionally, he was a student of School of Rock Evanston since its opening and now teaches for School of Rock in addition doing live and recorded performances throughout the Chicago blues, pop, R&B, rock and jazz scenes.